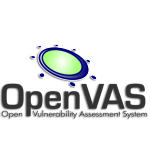 OpenVAS known as Open Vulnerability Assessment System is an open source vulnerability suite to run the test against servers for known vulnerabilities using the database (Network Vulnerability Tests), OpenVAS is a free software, its components are released under GNU General Public License (GNU GPL). 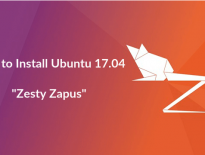 Here is the small guide to install OpenVAS on Ubuntu 16.04 / Ubuntu 14.04. Offical OpenVAS packages are available on launchpad. Issue the following command to add OpenVAS PPA on your machine. Update your system repository cache. OpenVAS repository includes newer packages for OpenVAS 9. If you do not mention the version name in apt-get install command, you may end up installing OpenVAS 8 instead of OpenVAS 9 on your system. OpenVAS 8 is only tested on Ubuntu 16.04 and Ubuntu 14.04. During the package installation, let the installer automatically configure Redis database for OpenVAS scanner. Upon completion of installation. You would need to download a set of NVT’s (Network Vulnerability Tests) from OpenVAS Feed service. To begin the download, execute the following command. Upon completion, run following command to download and update our security content automation protocol data (SCAP). This will take longer time, but not more than 30 minutes (Depends on your internet connection). This will also take some time to complete, but lesser than what it takes for downloading SCAP data. Restart the OpenVAS scanner and OpenVAS Manager. Now Rebuild the OpenVAS database. You can change the port number of web interface by editing /etc/default/openvas-gsa. Restart the openvas-gsa service to take an effect of the port number change. Once Completed, Start the OpenVAS Manager. That’s All, Place your valuable comments below.